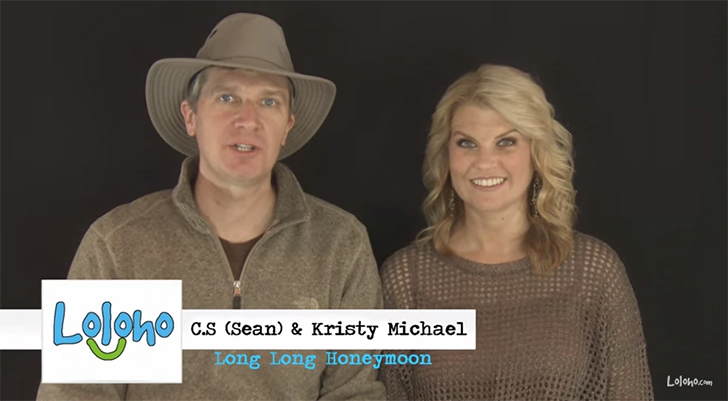 Airstream fans will most likely recognize Sean and Kristy Michael of the Long Long Honeymoon website and video series. 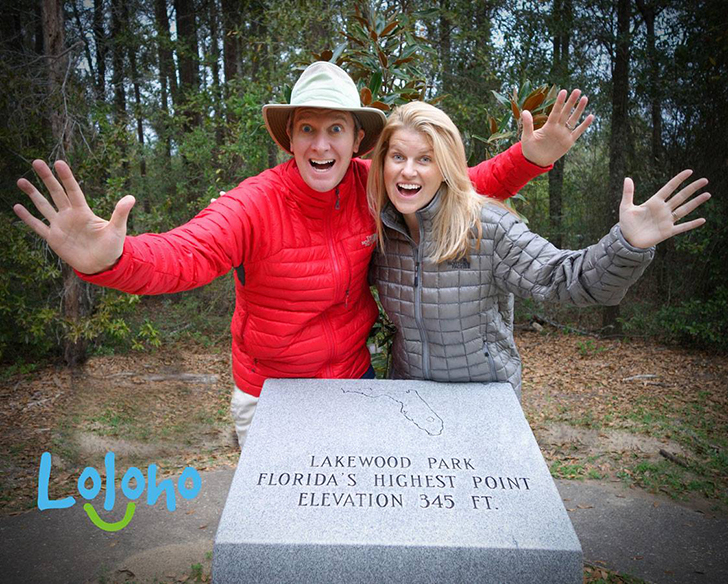 Their entertaining and beautifully shot videos document their life and travels in their 25-foot Classic Airstream named “Liv.” After traveling to 49 states and much of Canada, the couple have expanded their video series with “The Loloho Show,” longer chat videos that feature RV, Airstream and camping tips. The show covers everything from their top 20 towing tips to their top 10 bear safety tips—acquired after numerous trips to Yellowstone National Park. Sean and Kristy also discussed their “extreme makeover” after a trip to the wilds of Alaska; Liv recently received a full floor makeover after being subjected to leaks from Alaska’s notorious rainstorms. DIYRV: I really enjoy the “discussion” format of the The Loloho Show. Where do you get your video ideas and what ideas do you have planned? 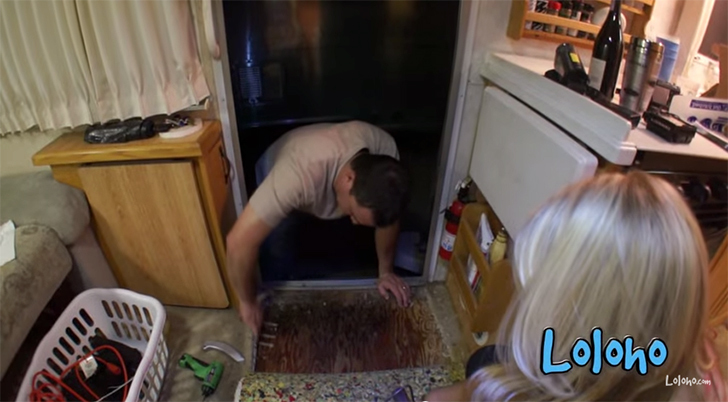 DIYRV: Liv has been through some changes since you purchased her. 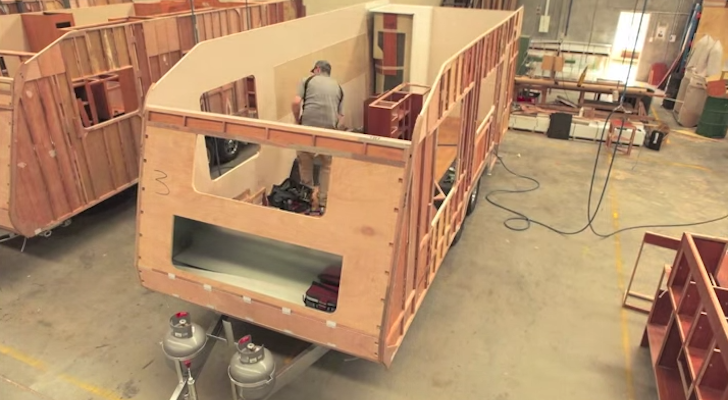 Explain what you’ve done to the Airstream and do you have any additional DIY plans? SEAN: Liv is a 2003 Airstream Classic travel trailer. Over the years we’ve done the usual DIY maintenance (exterior weather sealing and so forth). We’ve also upgraded the skylight to a new model. But our biggest DIY concern has been the interior. The original Airstream factory interior was very 1990s, if you know what I mean. Our most ambitious upgrade to date has been to install a new hardwood floor (replacing old worn out carpet). We’ve also changed the drawer handle hardware, kitchen and bathroom faucet hardware, and the backsplash in the bathroom. We have some exciting plans for the rest of the interior and we hope to do that work this year. 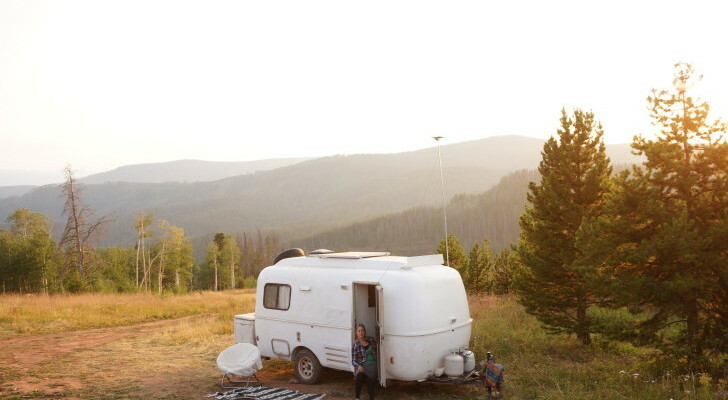 KRISTY: One of the best things about owning an RV is being able to make it your own space. This year we hope to add a little more character to Liv and make her reflect our personal style, which is NOT “1990’s grandma!” I’m excited about finally seeing some fresh paint, wallpaper, and fabrics on the inside. We may even change our couch to a wraparound style that we discovered being used in the European Airstreams. DIYRV: What do you like most and least about Airstreams? What other campers/trailers do you like? 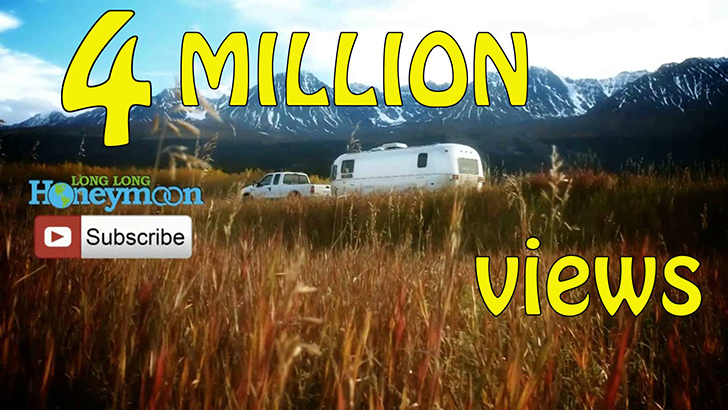 SEAN: Probably the best thing about Airstream is the community of Airstream owners. 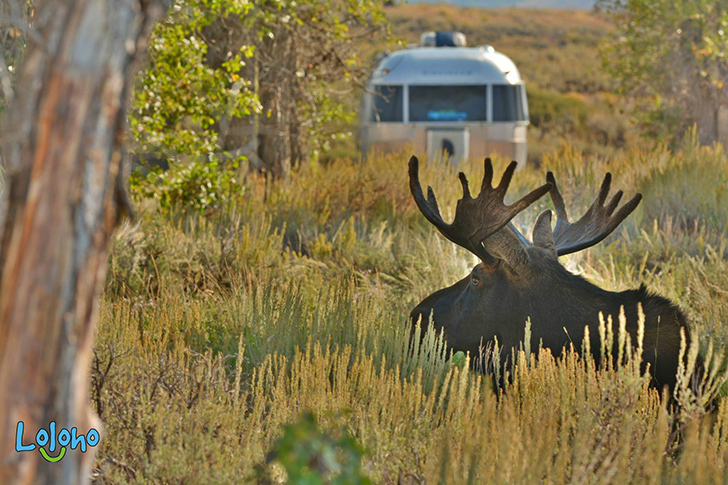 Airstream attracts a devout group of owners who are passionate about the experience. We’ve met a lot of great people through the Airstream affiliation. Of course, with regard to the product itself, we all love the timeless look of Airstreams with the sleek silver aluminum exteriors. What we like least about Airstreams? Well, the fact that the exterior aluminum skin can be dented is a nagging worry. If you get a dent in aluminum, it’s very difficult to properly fix yourself. But I guess the more pressing day-to-day concern is storage space. When we are “full-timing” it’s a challenge to store my filmmaking gear (cameras, tripods, drones, etc.). Every storage compartment is filled. With regard to other RVs, R-Pod trailers are cool. We also like Tiffin motorhomes. I think if we were going to step up to something larger for travel we might get a Tiffin. If we were going to stay in one location for a lengthy period of time, we’d consider a 5th wheel. 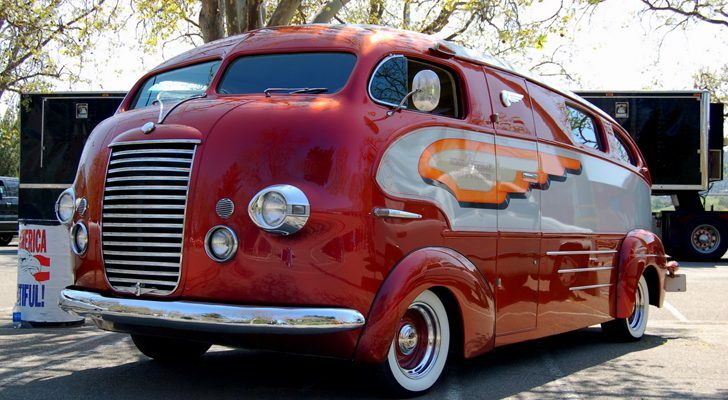 On a smaller scale, I love vintage campers. There are so many great choices. 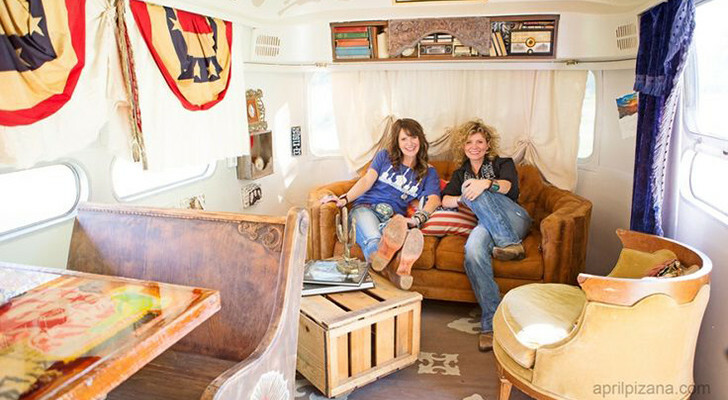 KRISTY: The look and feel of the Airstream is probably my favorite thing about it. The aluminum skin is just so pleasing to the eye—it stands out, but also blends in. One thing about Airstreams that I really love, is that they conjure up a lot of memories and emotions from the folks we meet. So many people tell us their happy childhood memories of camping in their grandparents’ Airstream, or about their eccentric neighbor that had one on their farm. People don’t tell us stories about generic campers, they are always specific that it was an Airstream because the shiny aluminum skin is just so unique. Airstreams just seem to make people smile; who wouldn’t love that? With that said, that beautiful aluminum skin can be so fragile. Denting it is bad news. The lack of exterior storage space and slide outs makes packing a much more thoughtful process! You have to really want what you bring with you—no room for excess (which can absolutely be a positive). I really like the vintage style campers. Shasta travel trailers are super cute and I really like the old Spartan Manor trailers—so cool and full of personality! 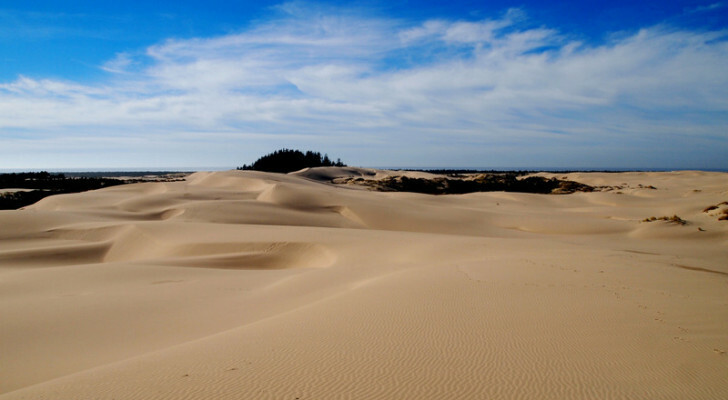 DIYRV: You’ve mentioned your five favorite places to camp. Where are you also dying to go camping? SEAN: Although we’ve been to Utah with our Airstream, oddly enough we haven’t been to a Utah national park. It’s not all our fault: the last time we were there, the government shut down and closed the parks! 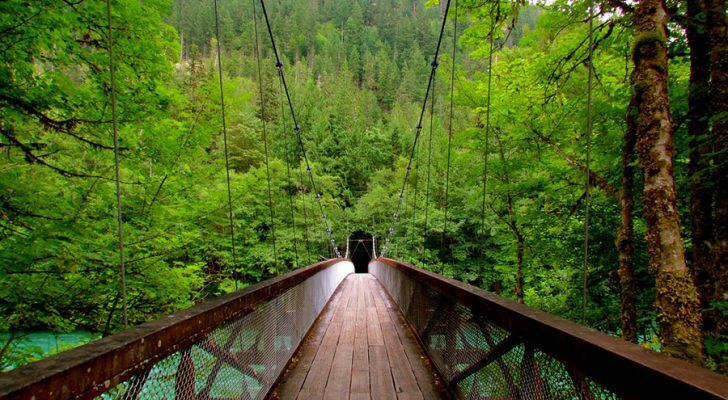 So the Utah national parks like Arches, Zion, and Bryce Canyon are high on our list. Also, we really want to camp in Hawaii since we have visited all other 49 states. We’ve been saving Hawaii for last and it is time to go. 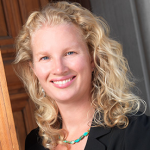 KRISTY: We are definitely making a beeline to Utah this summer! Also, I’m looking forward to camping at Crater Lake in Oregon and maybe the San Juan Islands in Washington State. 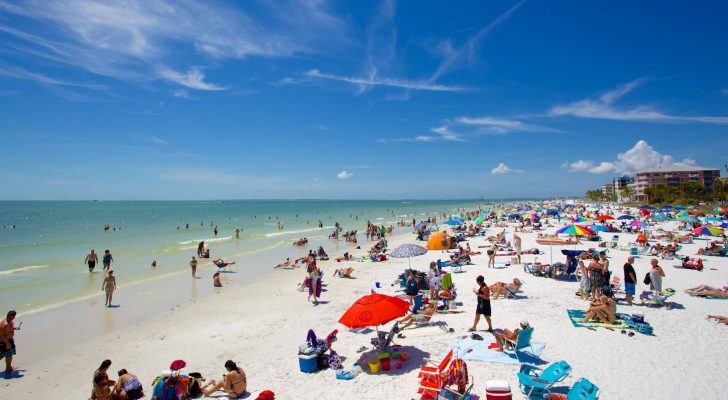 I also want to head back to the Florida Keys sometime soon—we haven’t been back since our wedding in 2007. 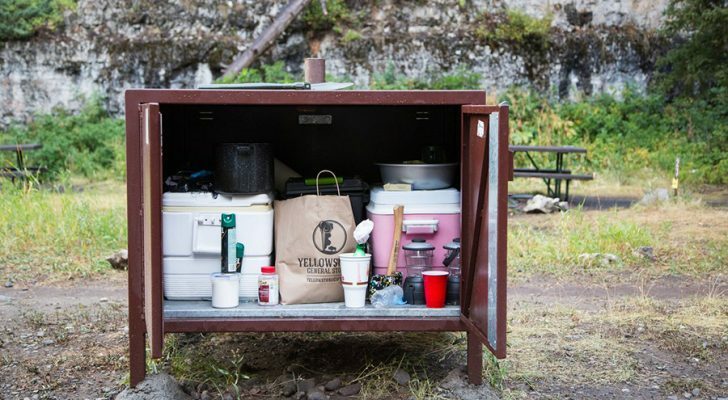 DIYRV: What are your favorite go-to camping apps, websites, guides, etc.? SEAN: To find good gas prices, we use the GasBuddy app. I’m sure it has helped us save a few bucks over the years. SaniDumps.com is a pretty good free site that lists dump stations in every state. CampgroundReviews.com is a pretty good campground review website. It’s not really a camping specific app, but we like to use Yelp to find restaurants when we are visiting a new area. KRISTY: I have to admit, I don’t use many camping specific apps. I really need to get on that! I do use the Weather Channel app, Yelp and Urban Spoon. Most of my travel and camping research is done by just browsing the web—typing in a destination or area and seeing what turns up. When we started camping back in 2007 smart phones were just getting started, so I have to remind myself of all of the valuable information that is now in our front pockets! Sean and Kristy are great folks and are an inspiration to me starting my 4 year trip. The only reason Sean is complaining about not having enough storage for his video and photo stuff is he has CSBE (Can’t Stop Buying Equipment)! great interview of nice people with tons of experience!